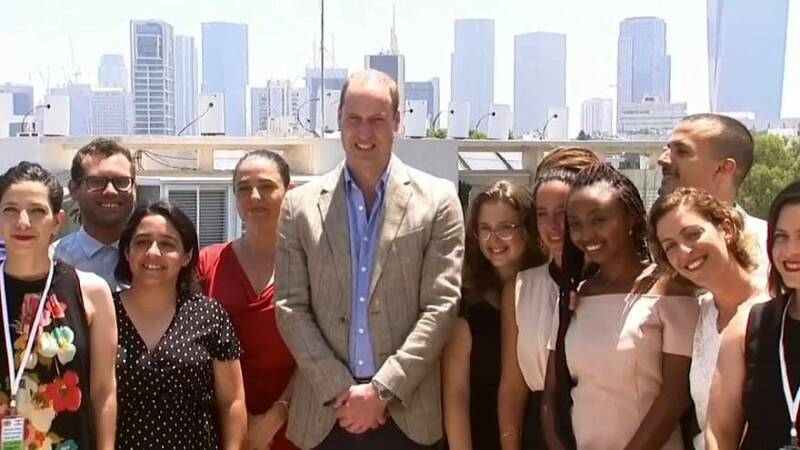 Prince William began the second full day of his historic royal visit to Israel on Wednesday (27Jun) by strolling around Tel Aviv's trendy Rothschild Boulevard and meeting young artists and entrepreneurs in Israel's cultural and financial capital. The Duke of Cambridge met Netta Barzilai, winner of this year's Eurovision song contest, and had a cold drink at one of the famous kiosks along the boulevard named after the late 19th-century British-Jewish banker and philanthropist. Thousands of onlookers gathered behind police barriers to catch a glimpse of the prince. The prince casually smiled and waved before attending a cultural event at a museum where he met young people engaged in youth activism.